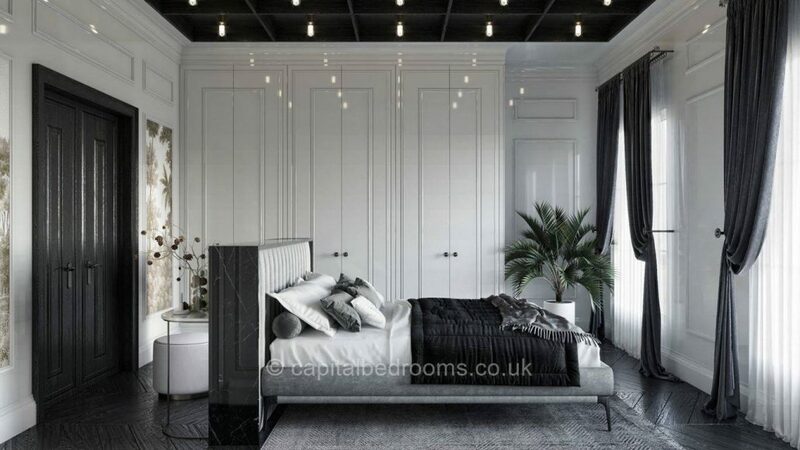 It has always been Capital Bedrooms top priority to manufacture and install modern fitted wardrobes according to the newest, most up to date trends and to equip them with the best, most innovative accessories available on the market – customers’ satisfaction and innovations are the most important for Capital Bedrooms. 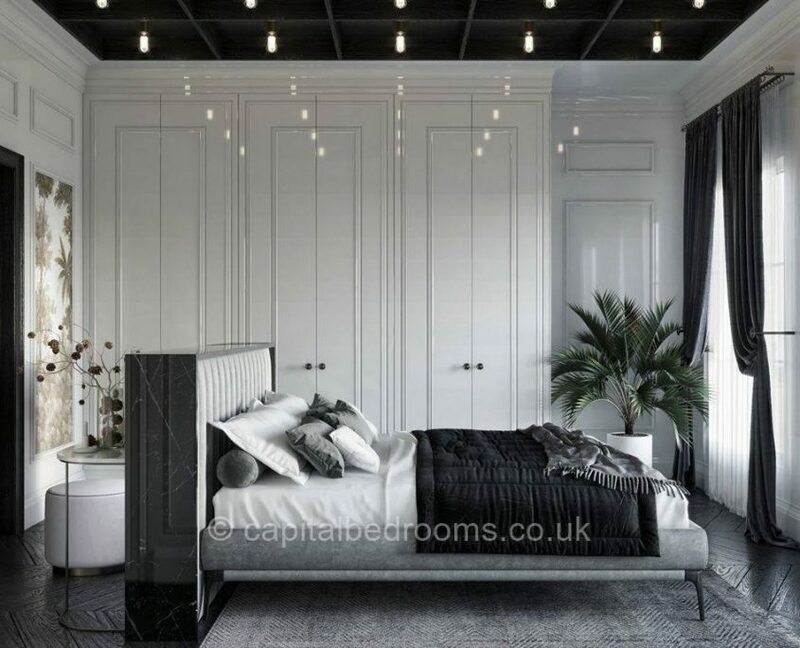 At Capital Bedrooms, we lead the same, 21st-century hectic lifestyle as you do, therefore we know how important it is to have a cosy and comfortable bedroom: we also start each and every day in our bedrooms and go back there after long days at work. 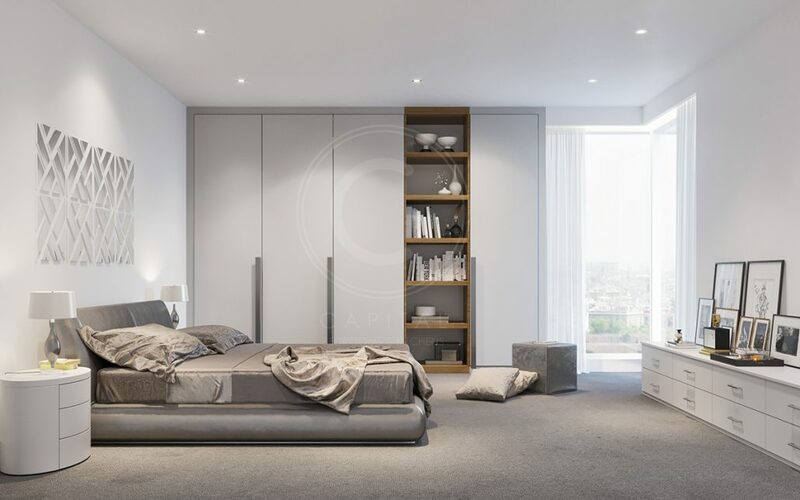 Because we understand the importance of this home area, we want to help you create the perfect space for you using fitted wardrobes and bespoke built-in furniture. 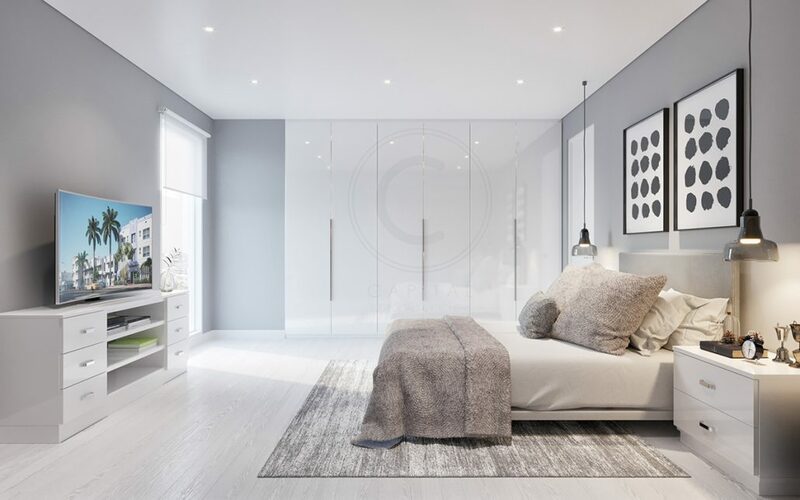 We will create a space that will be both relaxing to stay in and practical, with well thought out storage solutions. 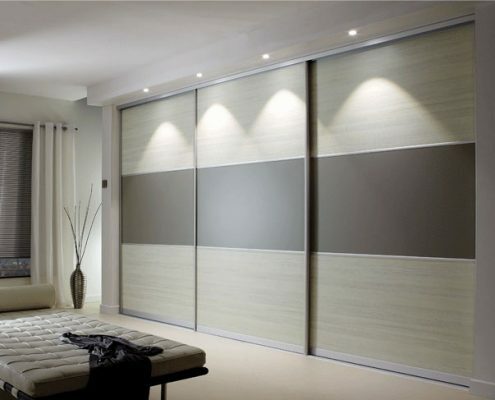 Sliding door wardrobes are the best substitute solution for traditional hinged door wardrobes when it comes to both looks and practicality and with the newest technologies and solutions applied, their performance is becoming better and better. 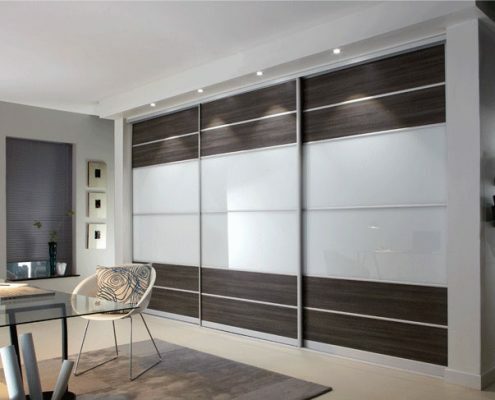 When it comes to sliding doors, this formula allows you to gain extra storage space as well as to achieve the layout of your fitted wardrobe the way you want it in the style and finish you like the most. 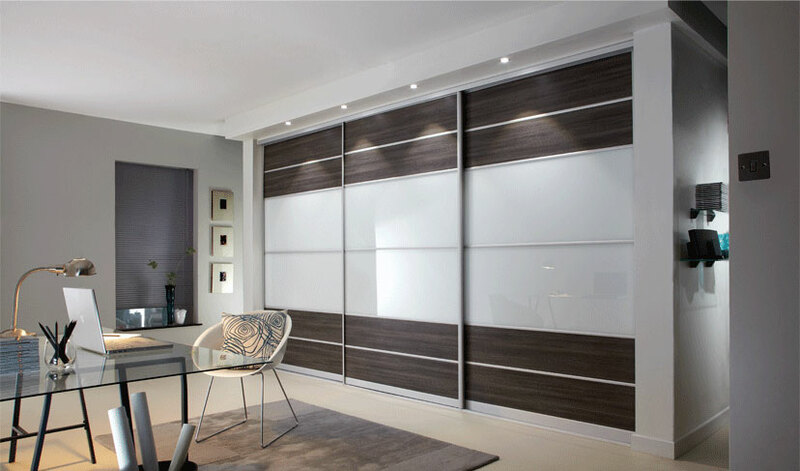 Whatever type, size or design of fitted wardrobes you might be looking for, you are now in the right place to get it! 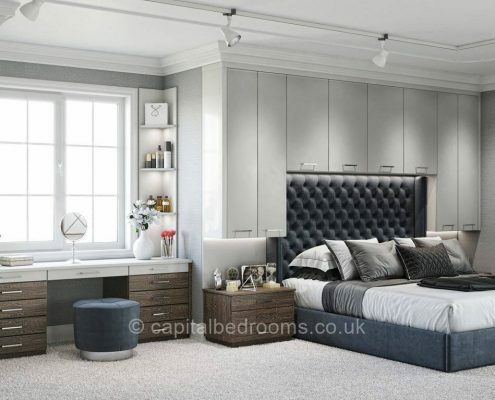 Capital Bedrooms can create a cosy bedroom, a practical home office, a modern TV lounge area or an amazing kitchen you have always dreamed of at lower prices than any high street brand might ever offer you. 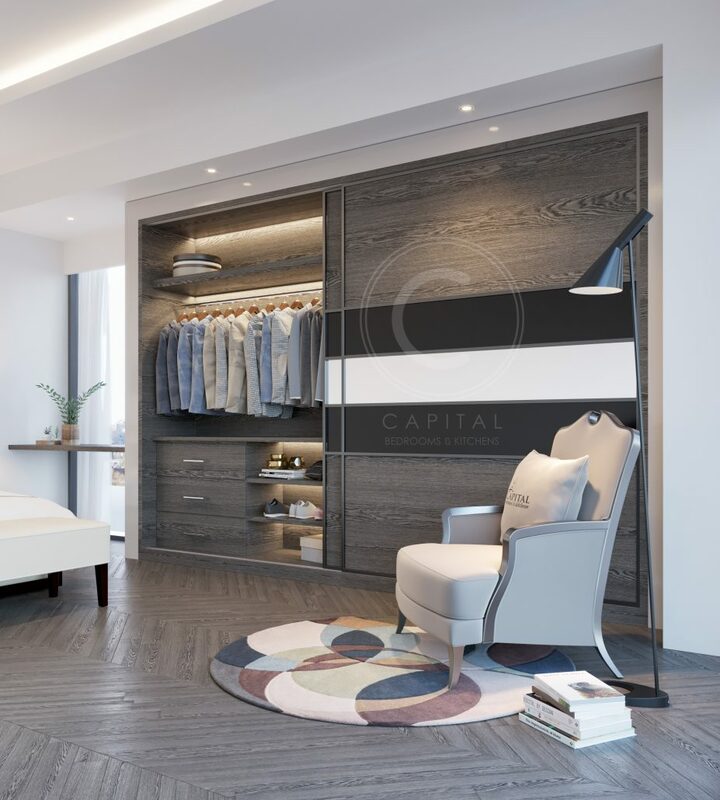 At Capital Bedrooms, we specialize in Fitted Wardrobes, Fitted Sliding Wardrobes, Walk In Wardrobes, Attic Wardrobes and many other types of fitted furniture, even in unusual shapes and sizes. 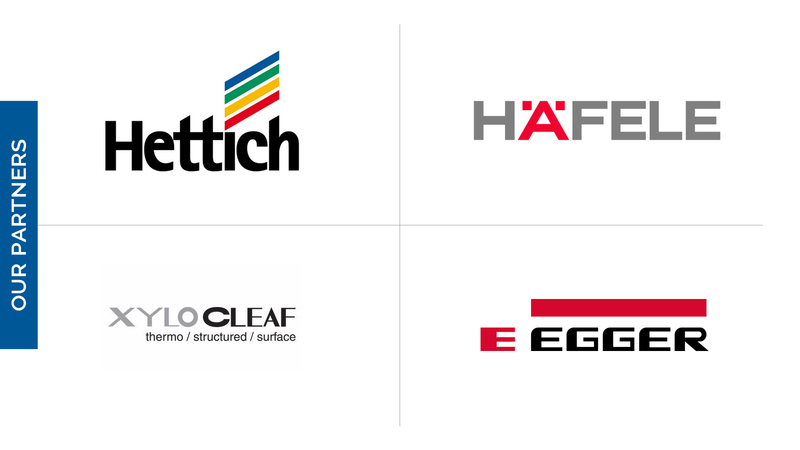 What sets us apart from our competitors? 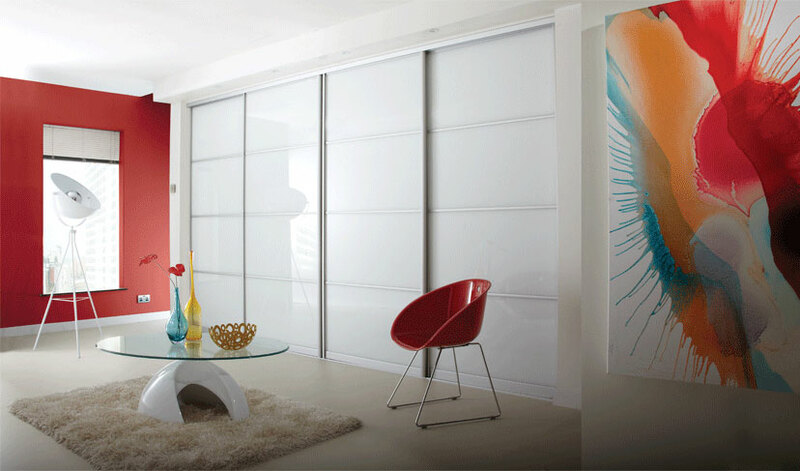 First of all, it is the price that we offer you for the highest quality furniture and service. 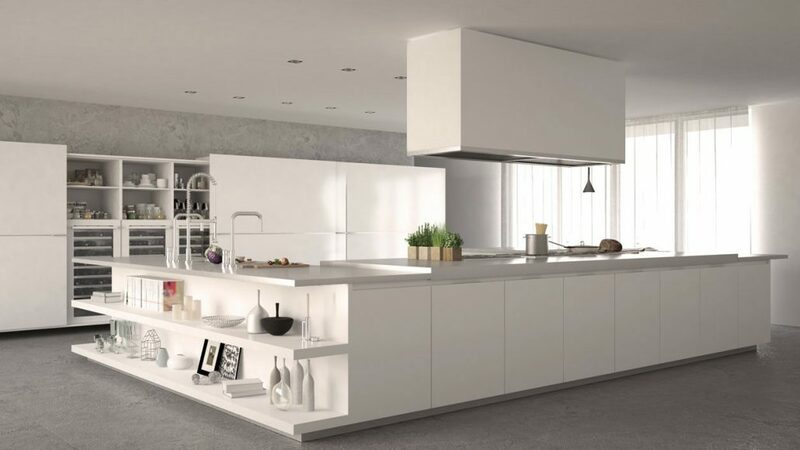 Our fitted wardrobes and kitchens are made from the best materials and as we are sure they are built to last, we give a 10 year guarantee on all products. 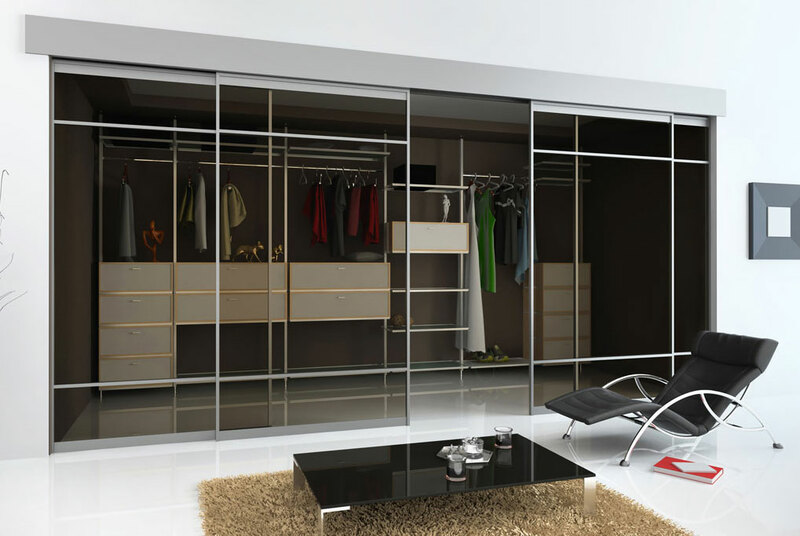 We manage to maintain low costs to provide cheap fitted wardrobes but we are not making compromises on quality. 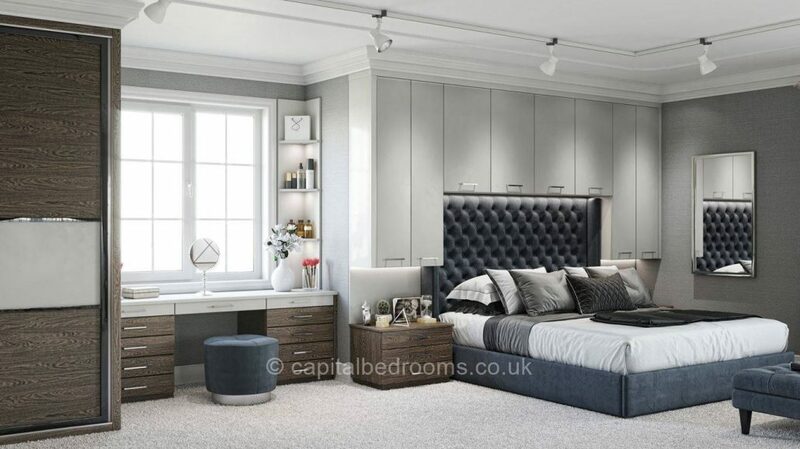 Still need more reasons to choose Capital Bedrooms? One of our most important selling points is to work quickly. 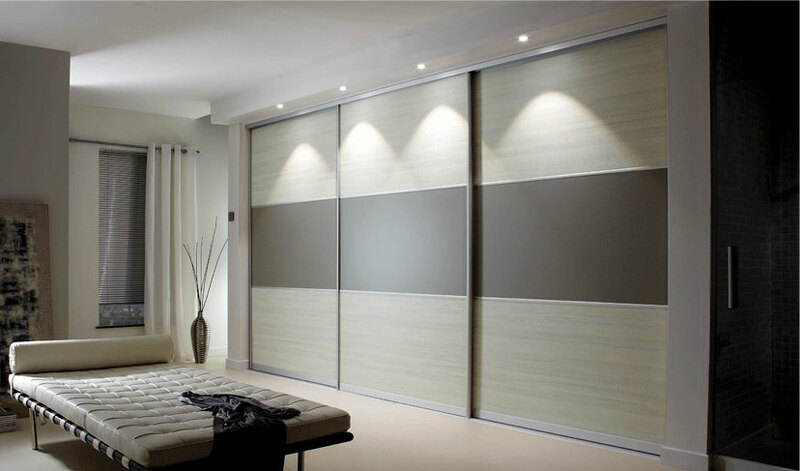 You will not need to wait weeks or months to get your fitted wardrobes installed in your home. We will always try to provide you with the final product within 14 days of your order. 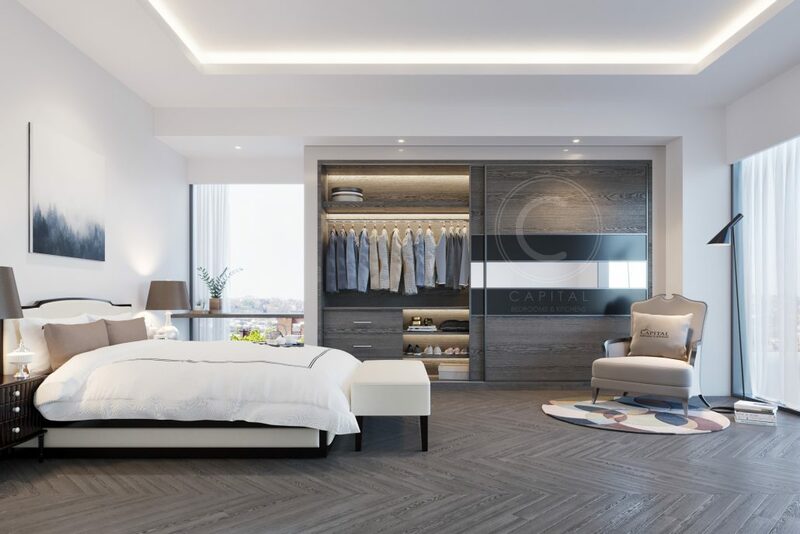 We also have the largest selection of modern accessories for your bedroom or kitchen including pull out shoe racks, accessories draws, pull down hanging, trouser pull outs, tie racks, pull out mirrors as well as fantastic lighting solutions and many, many more. 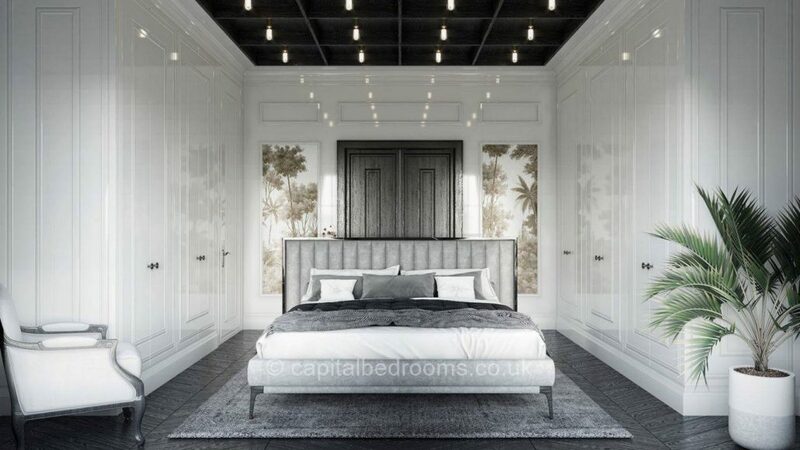 Browse our amazing collection of fitted wardrobes styles for your bedroom, kitchen or living room. Book today! Call us now! Sounds good, doesn’t it? Don’t wait any longer, grab your phone NOW and give us a call on 0800 0740566 or 0208 2262088 or use the contact form to send us a message with a convenient time for you and we’ll give you a ring! Honestly, the best company to work with. I had over three quotes for built in Wardobes and Captial were without a doubt the most creative. They thought of ideas to give me more space than I thought possible. Their designs were clever and stylish. They were very competitive on price and went out of their way to make this process be as smooth as possible. 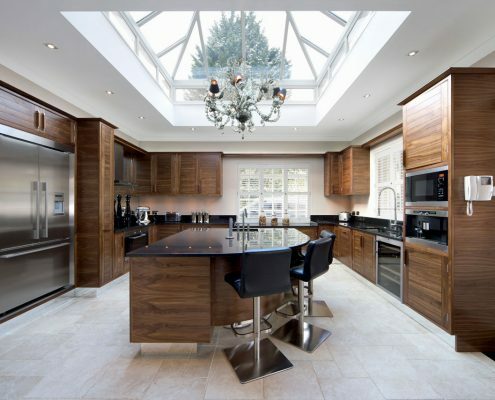 The fitters were brilliant and went above and beyond. My entire process from design to installation was 14 days. I highly recommend Captial to anyone who’s thinking of having honest and beautiful work done. 5 stars from me. Recently ordered quite a complicated walk in wardrobe , nothing is to much trouble , service is amazing delivered and fitted within 10 days! Very happy with all the team at Capital from sales to fitting. Price was far better than the mainstream companies. Extremely impressed, thanks again will highly recommend you guys . 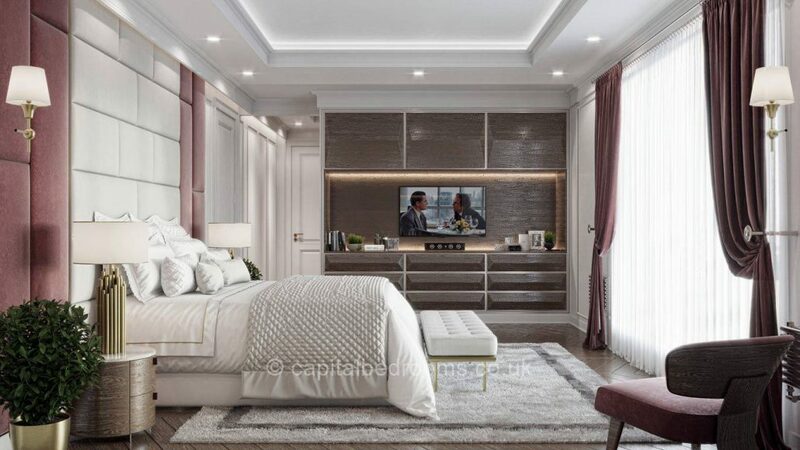 I used Capital Bedrooms at the beginning of the year to design and fit cupboards for my master and guest bedroom as well as a desk and drawer unit. The furniture was designed, manufactured and fitted within 2 weeks. 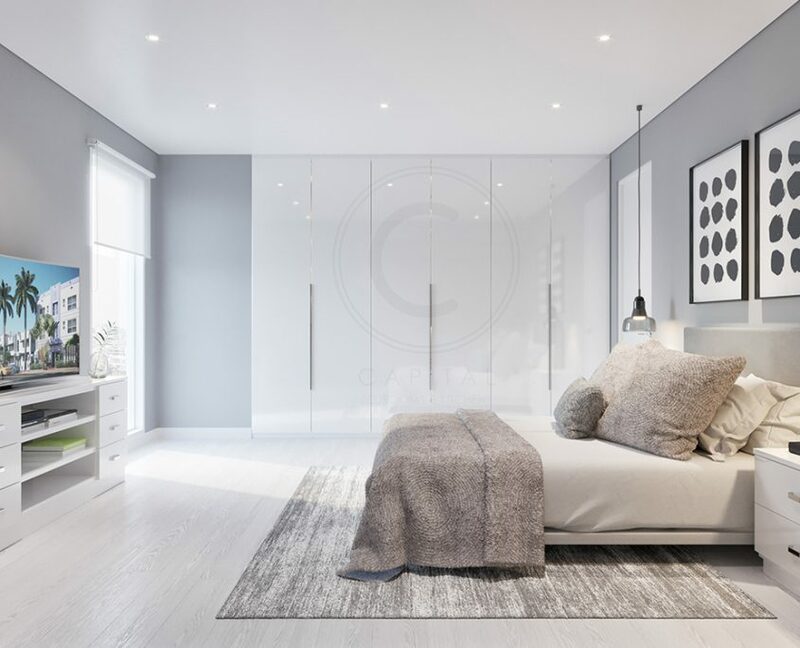 Materials, colours and features were endless, but the designer worked patiently with me to design furniture most suitable for my requirements. I had done a lot of shopping around and the price quoted was extremely competitive. 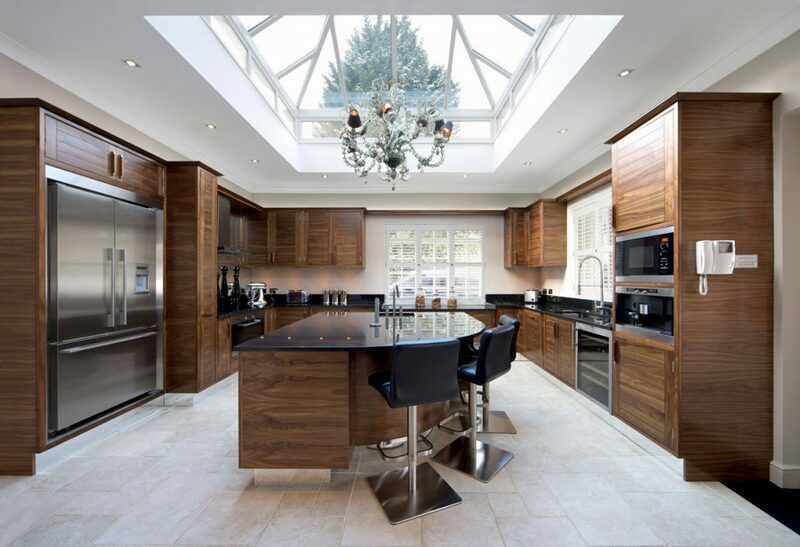 I was very impressed with the overall level of service from all the staff that I dealt with; designer through to the fitters. 6 months on and the furniture is still as good as the day it was fitted! 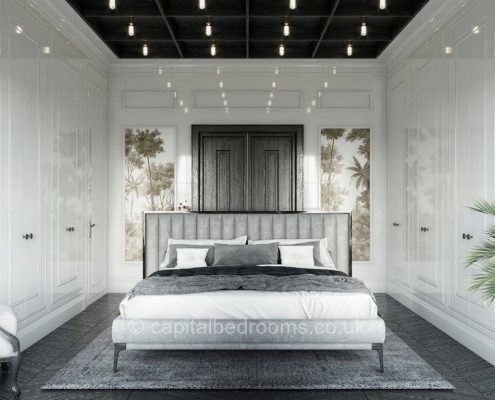 I recently had a fitted wardrobe put in by capital bedrooms. 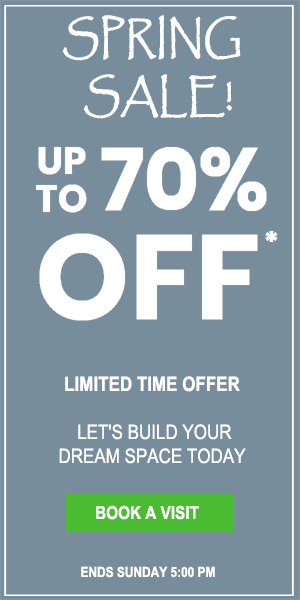 I had compared them with other larger companies and their lead time as well as product was much better at a better price despite the discounts on some of the largest competitors. 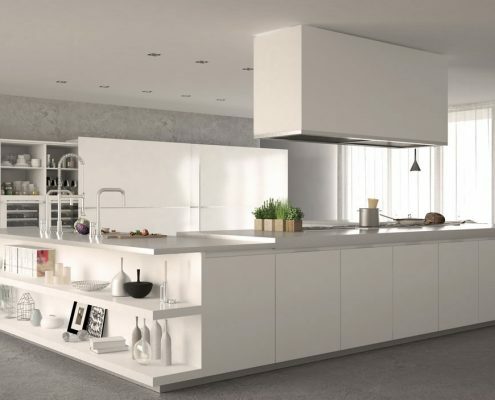 They only require one day for the installation and were very professional. 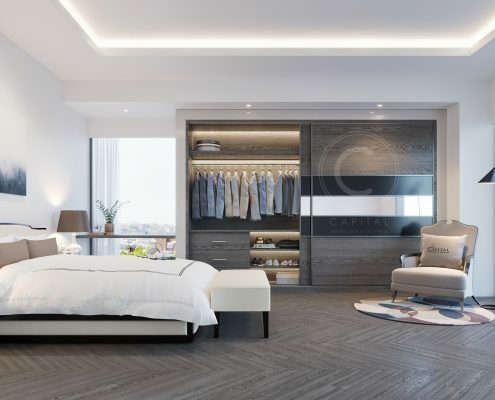 Clearly they knew what they were doing everything from the design phase in consulting me with what is possible and the best possible solution to the men installing the wardrobe quickly and with great attention to detail. I also appreciated the follow up visit from my designer to make sure that everything was up to standard and finished properly. Would definitely use them again and consider them for other solutions as well in the future. At the beginning, we were a little bit doubtful because their price seems too good to be true. However, after visiting their factory twice and talked to their staff, we decided to have a try. 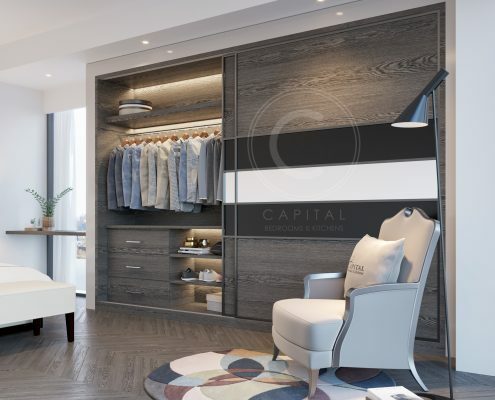 We couldn’t be happier about our bespoke wardrobe! 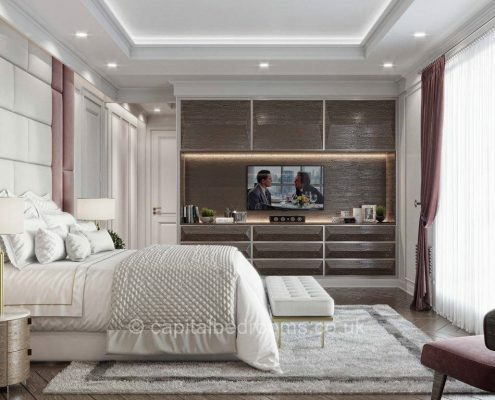 It is perfectly made and throughout the process, we have been impressed by their professionalism, good communication and excellent quality of work. 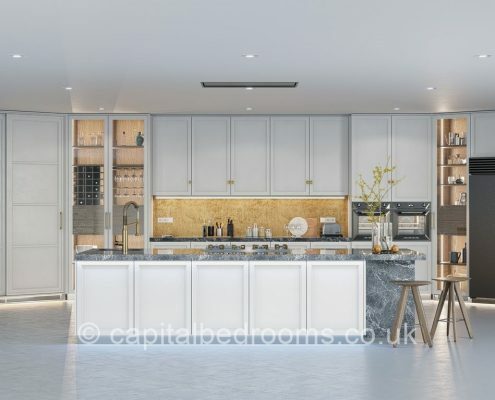 Really great experience with capital bedrooms. Arranged a viewing for the next day. 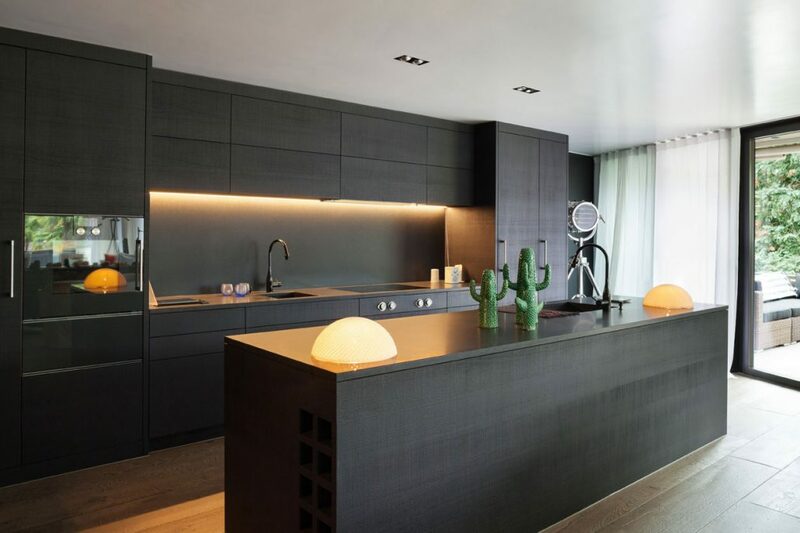 Design agreed at the viewing, as well as the price. Flexible with dates for the wardrobe fitting. 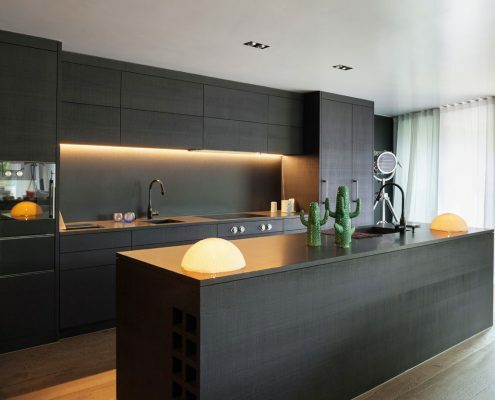 Lots of choice for finishes. My wardrobe is floor to ceiling and over 2 metres high. Amazing light grey finish which has received lots of compliments. Great customer service. 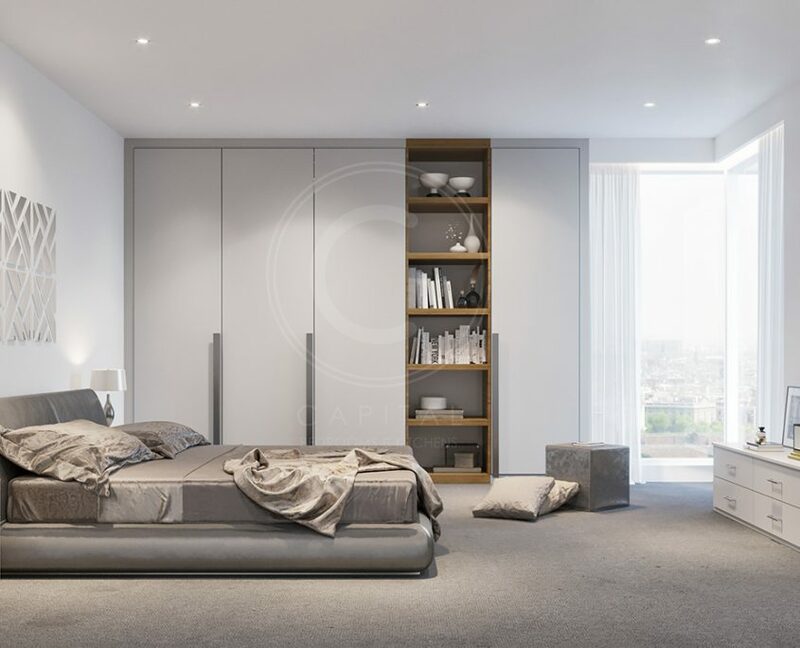 Two ceiling high fitted wardrobes with sliding doors and a fitted shelve in the lounge. Harprit went out of his way to make sure I was happy, and the final product looks fantastic I must say. 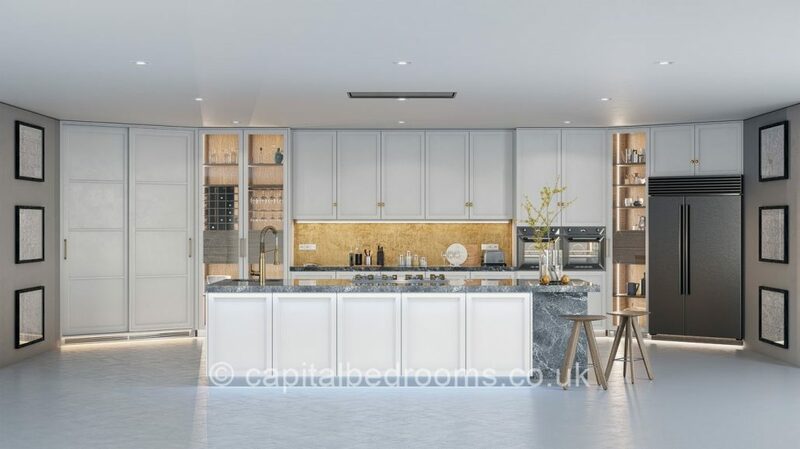 I’ll be doing a 6 bed house in a few months and will definitely choose Capital.